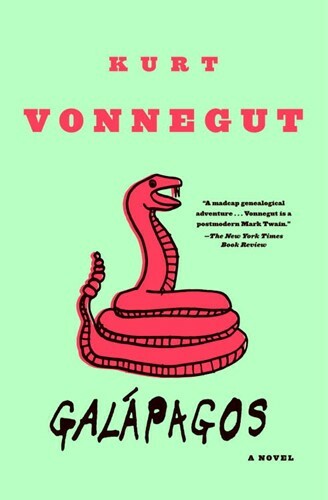 Galápagos takes the reader back one million years, to A.D. 1986. A simple vacation cruise suddenly becomes an evolutionary journey. Thanks to an apocalypse, a small group of survivors stranded on the Galápagos Islands are about to become the progenitors of a brave, new, and totally different human race. In this inimitable novel, America’s master satirist looks at our world and shows us all that is sadly, madly awry–and all that is worth saving.